If it’s not the humidity that makes summers in Florida intolerable, it’s the humidity coupled with the triple-digit temperatures that make you want to immediately run for the shower as soon as you step foot outside! 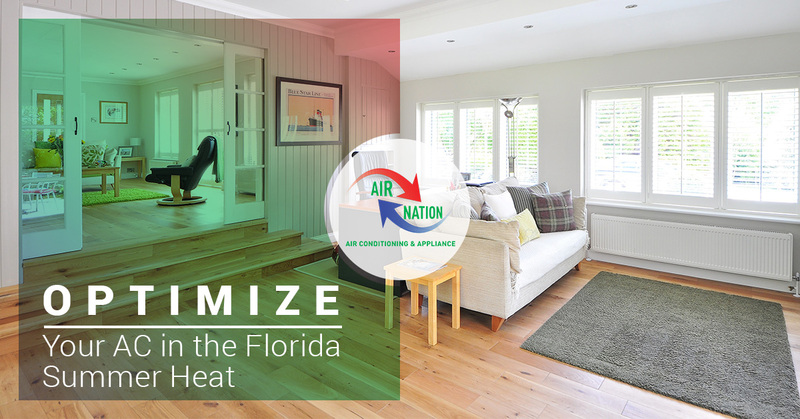 Florida summer’s leave you sticky, sweaty, and seeking indoor oases, so how can you optimize your AC to feel cool and comfy all summer long? At Air Nation, we want you to get the best out of your HVAC system, which is why our AC repair services are comprehensive and cover anything from air conditioning installation to air conditioning maintenance. Avoid an AC nightmare this summer and call us for an HVAC service. If you’ve recently had routine AC maintenance and want to learn more about optimizing your system, follow along in today’s post! Whether you have central air conditioning, a mini AC split unit, or a window AC unit, there are things that can be done to optimize its efficiency. All units have controllable features more than just an on and off switch to help you manage and keep your indoor space cool all summer long. Check the vents – The vents have a way of getting turned every which way except in the way you need them, making them a prime suspect for inefficient home cooling. Always check the direction of the vents and center them and point them in the direction of the space you want to cool. If the vents are directed towards furniture or up the curtains, this makes their purpose null and void and you’re left with a warm room. Redirect the fan – Some AC units have different fan settings, and while the high setting is very effective in the thick of the summer heat, if it’s pretty humid the most effective setting is low because it helps circulate the air through the AC unit allowing for better dehumidifying efforts. Do an AC filter audit – When was the last time your AC filter was changed? If it’s been more than a couple of months and you’ve been regularly running your AC, this may be a good time to take a look. Filters harbor dirt, dust, and grime and if it is at all clogged, it won’t operate at its full-capacity, leaving you with a warmer home and higher energy bills. 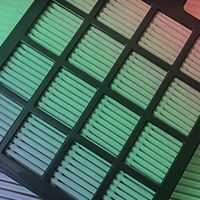 The best practice, when it comes to AC filters, is to change them every month in seasons of high and regular use. Put your AC on a timer – Isn’t it lovely when you’re out and about running errands in the heat, to come home to a crisply cool house? On the other hand, if you leave all day for work, it’s necessary and a bit impractical to run the AC all day. The best practice is to use your AC’s handy timer settings and set it to run when you’re home and there to enjoy it. If your work day is from 7 am to 4 pm Monday through Friday, set your AC to run at 3:15 pm, so you return to a beautifully cooled home. If you’re without a timer setting and want to run the AC while you’re away, bump the temperature up by at least five degrees and lower the setting on the fan. While many people will differ on this topic, the US Department of Energy recommends an AC setting of 78 degrees while you’re home and a higher one when you’re away. As, always, adjust the temperature to fit your needs and incorporate the above considerations such as checking the vents and filter to redirecting the fan and using a timer to make your summer indoors cozy and comfortable. For all of your summer AC needs, contact us today!